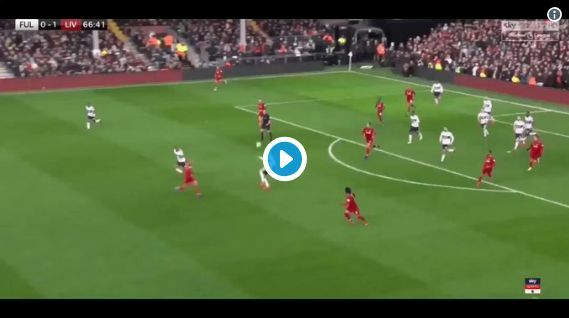 This clip from the second-half of Fulham v Liverpool at the weekend shows off the ridiculous physical attributes of two of our best players; Virgil van Dijk and Mo Salah. With Fulham about to counter, our no.4 and no.11 showed jaw-dropping speed to get all the back into our own box and stop the threat. We’re actually more impressed with Salah here, with the Egyptian not known for his defensive contribution – and struggling for confidence in front of goal. Liverpool won 2-1 thanks to a late James Milner penalty, after a mix-up between Alisson and van Dijk had led to Ryan Babel equalising. We’re now two points clear at the top of the Premier League table, but Manchester City have a game in hand.